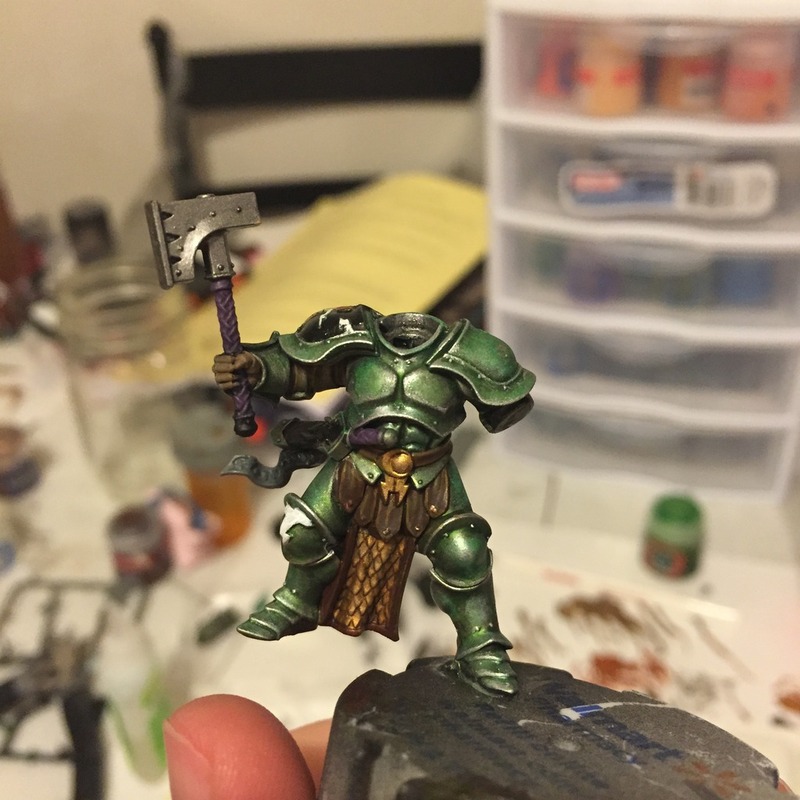 Mengel Miniatures: Age of Sigmar Painting Competition Update! 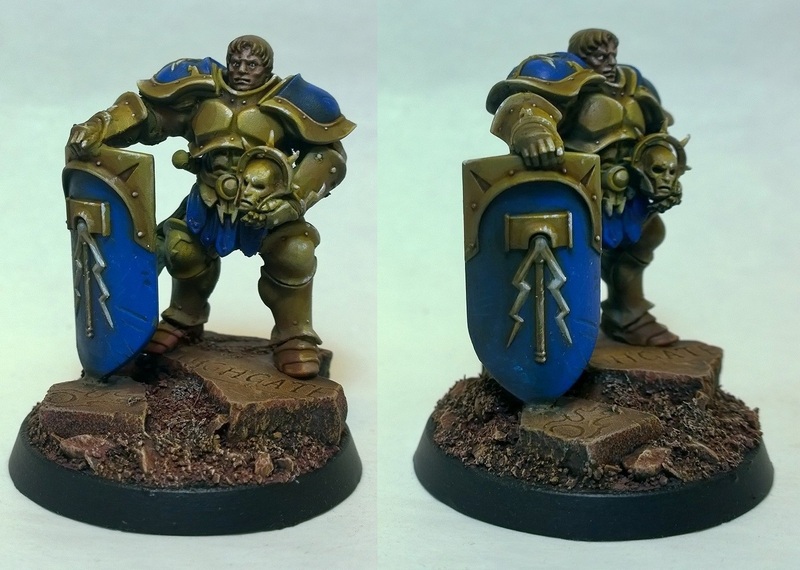 There's one week to go before the Age of Sigmar painting competition is over and there are plenty of entries rolling in. Today I have a quick recap of where we are at and a reminder that you still have time to enter and get a chance at winning some of the great prizes. It seems like a lot of people have been bitten by the Age of Sigmar bug, and I'm definitely one of them. Here is just a small selection of some of the entries we have been receiving so far. Not all of them are done, but that's part of the fun, to get to see these projects develop in the Forums. You get to see color scheme you may have never thought of. 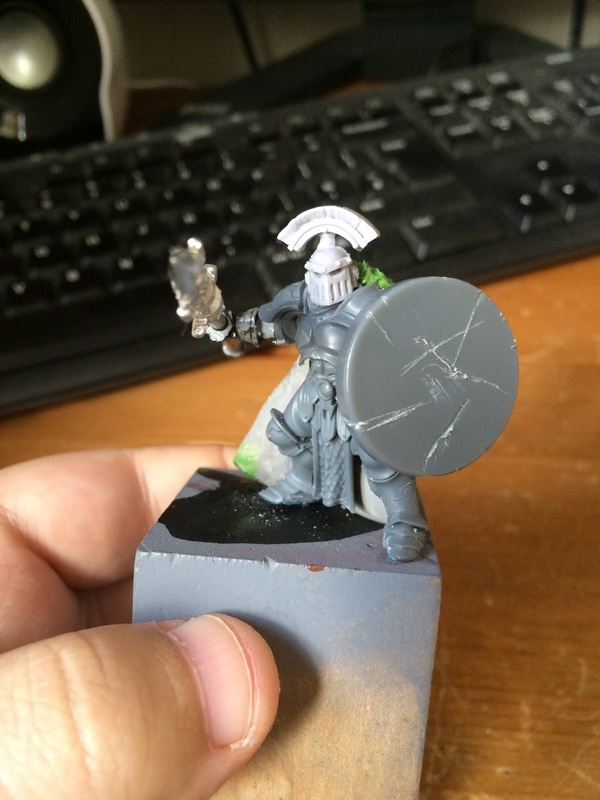 As well as some unique conversions that really make great use of the model. There is still one week to go to if you want to enter, all entries must be received by midnight Eastern Time on August 10th. Here is a quick recap of all of the prizes up for grabs as well as the competition rules. Secret Weapon Miniatures is providing prize support for all of our winners! With Warhammer switching from square bases to round now is the perfect time to either rebase your existing army if you so choose or to start a brand new one. Secret Weapon Miniatures has 16 Fantasy themed round base lines with more themes and base sizes in the works. Our Third place winner will receive their pick of any one base pack for free. 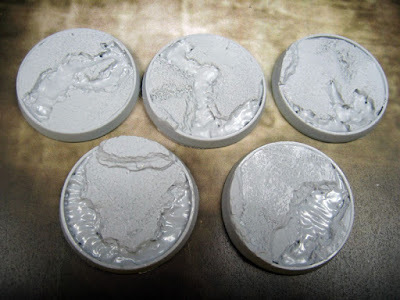 Second place will receive their pick of any two base packs and our First place winner will receive a voucher for $50 to Secret Weapon Miniatures, enough to custom base one of the forces from the Age of Sigmar starter set or to get started on their own army. Not to be left out our People's Choice winner will also receive a voucher worth $12.99 to Secret Weapon Miniatures, enough to pick a 25mm base pack from amongst the many themes. Not only is Secret Weapon Miniatures providing prize support, but so is Full Borer Miniatures. Our First place and People's Choice winner will each be getting one of his amazing Dryad sculpts. That's a whole lot of Fantasy themed prizes coming your way! - All entries must be a Stormcast Eternal Liberator, either the free one from White Dwarf #75 or one from the Age of Sigmar boxed set. It can be any of the Liberator models (the ones with the shield and hammer), no angels or hero on dragon mount please. 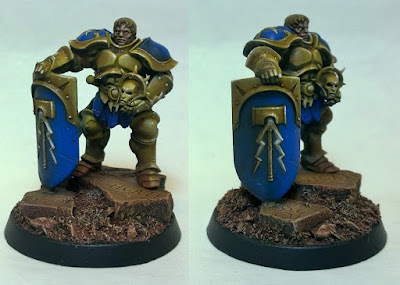 - We are trying to celebrate the launch of the new game, so painting them up as a member of the Warhammer/Age of Sigmar universe is highly encouraged, but any and all conversions are allowed. 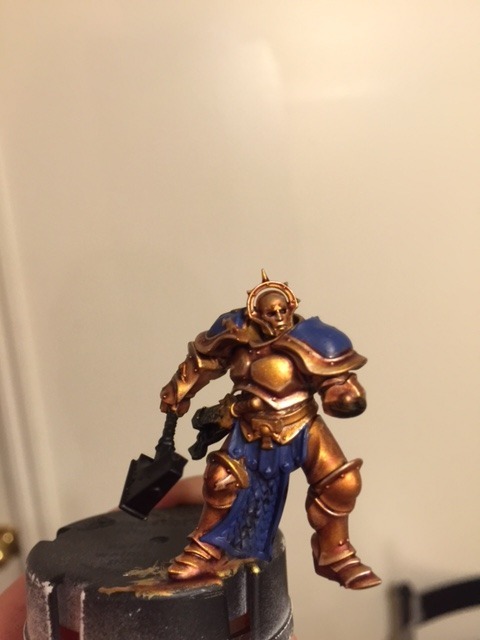 If you want to convert yours to fit into the 40k universe that is perfectly fine, although the majority of the model must be a Stormcast Eternal Liberator. 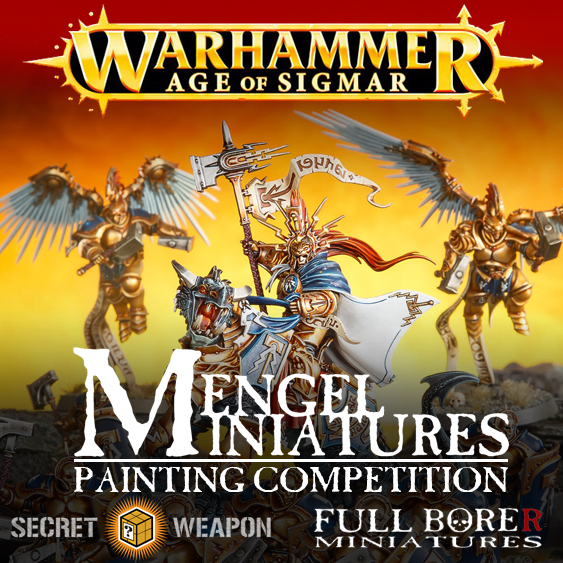 - All participants must register on the Mengel Miniatures Forum. You must make at least one post on the W.I.P. board announcing your entry. I highly encourage keeping a log of your project on the forum, but beyond that first topic post you are not required to update it further if you do not want to. I also highly encourage you to post your progress on Twitter and/or Facebook with the hashtag #AoSPaintingComp. - Final entries can be submitted on the Forum in the Gallery board with the words AoS Painting Competition somewhere in the title or emailed to me directly at TylerM@mengelminiatures.com with the subject line "Age of Sigmar Painting Competition Entry". - All final entries must be received by end of day on August 10th. So what are you waiting for? Have a model already done that you want to enter, have something you are currently working on? Just create a topic in the W.I.P. section of the forum and then be sure to get me the final submission. Be sure to spread the word on Facebook, Twitter, or even just amongst friends.